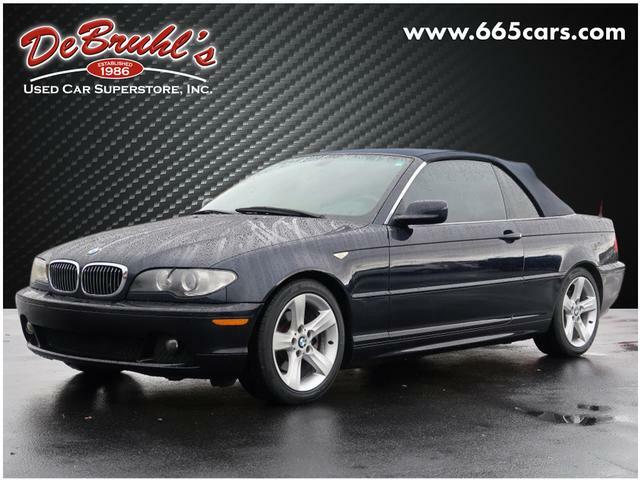 * 6 Cylinder engine * * GREAT DEAL AT $7,950 * * Luxurious Sand leather interior in this 2006 BMW 3 Series 325Ci * * 2006 ** BMW * * 3 Series * It has a 6 Cylinder engine. With a sleek dk. blue exterior and a sand interior, this vehicle is a top pick. Good cars sell fast! Give us a call and schedule an appointment today! DeBruhls Used Car Superstore is the largest independent auto dealer in WNC! We offer a full range of financing with our guarantee credit approval, everyone is approved here.